You can grow your onions from seeds, sets or transplants. Most gardeners prefer to use onion sets because of the convenience, and your onions will mature about one month earlier than from seeds. But, when you purchase onion sets from your local garden center, you don't always know exactly what type of onion you are getting, only if they are white, yellow or red onions. 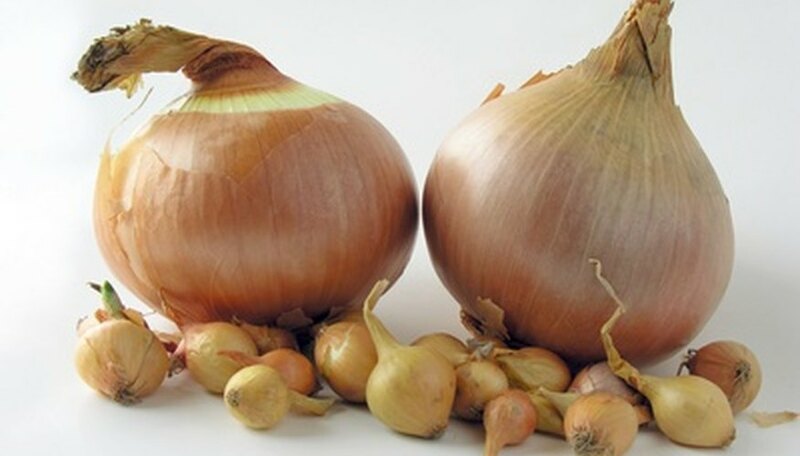 You can grow your own onion sets to save money and know exactly the variety you are growing. Start growing your own onion sets in late summer for sets you can plant the following spring. Select a sunny location in your garden to plant your onion seeds. Prepare the planting soil by incorporating compost or organic material into it to a depth of 8 to 10 inches. Remove any weeds. It is important to control the weeds where your onions grow because weeds will compete and take away vital nutrition in the soil that your onions require. Plant your onion seeds, thickly in rows 15 inches wide, in late July or August. Plant the onion seeds 3/8 inch deep. Sow the seeds close together so your onions do not have the ability to expand as they germinate and grow, but remain small because they are crowded together. Water your onion patch to keep the soil moist, but never soggy or over wet. Cover the soil with mulch to help maintain soil moisture and control weeds. Bend the tops of your onions over a few weeks before the first frost in the fall. Bending the tops over stops or slows the growth of the small onion bulbs underground. Dig the small onion sets up after a week or so, using a hand trowel. Carefully clean any soil that is on the tiny onion sets. Cure, or dry, your onion sets by placing them in a dry, well-ventilated location for several weeks to dry out before placing them in mesh bags for storing over the winter. Keep the onion-filled mesh bags in a cool (40 degree F), dark place until you are ready to plant your onion sets in your garden the following spring.